We have been talking about making a trip to South Dakota's Black Hill for a few years now, and this past summer we finally made it happen. My project in Washington State had come to a successful completion, and I was looking to relax and enjoy some time with Krista. 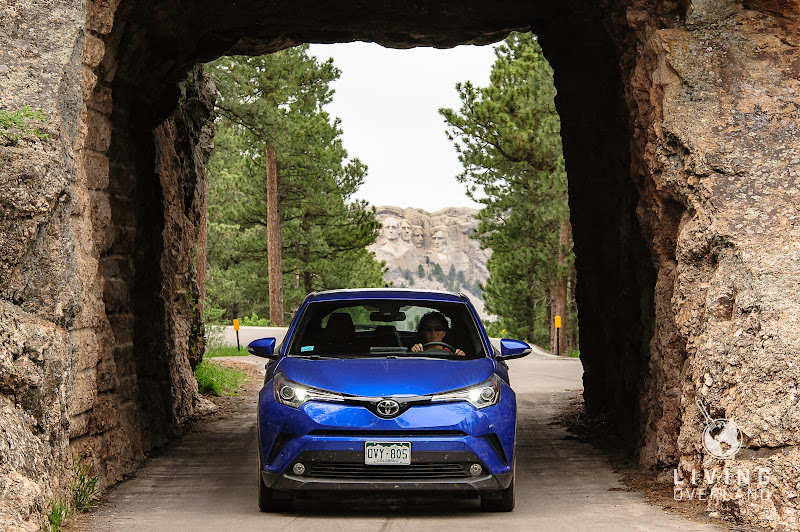 Our friends at Toyota had loaned us the Toyota C-HR for a few days, so we loaded it up with our luggage and camera gear, and set off for the Black Hills. We woke up Saturday morning in Custer, South Dakota, having arrived late the night before. Tourist Season was in full swing, so we quickly made our way down to the coffee shop in the old 1881 Bank building before the rush. 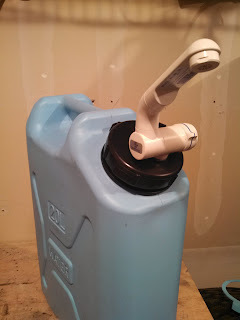 As always, we were faced with a dilemma; should we try to take things easy, or pack in as much as we could into the two days we were in town. We've been living in Wyoming for nearly six years now, I know it is hard to believe, and yet this was only my second trip to South Dakota and first trip to the Black Hills and I wanted to see as much as I could. 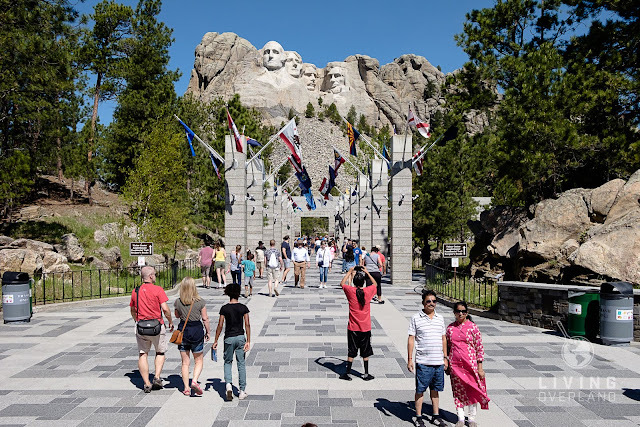 Ultimately, Krista's cool head prevailed, settling on a plan to visit Mount Rushmore National Memorial and Wind Cave National Park for our first day, leaving our second day for a leisurely drive around the area, before heading to Deadwood for the night. 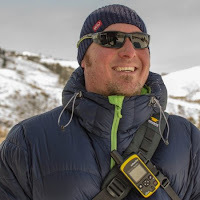 We spent a good amount of time in the quaint coffee shop, sipping coffee and reviewing maps, and before we knew it, an hour of our morning had slipped by. The coffee shop was quickly filling up with tourists - a clear sign that we needed to hit the road. 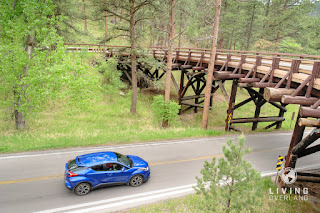 We departed Custer, heading north along US Highway 16/385, fully caffeinated, the C-HR with a tank full of fuel, and freshly charged batteries in our cameras - I was excited about our itinerary. Shortly after leaving Custer we came across the turnoff for, and profile of, the Crazy Horse Memorial. 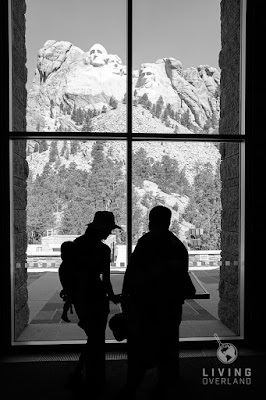 Anticipating future adventures in the area, we choose to not deviate from our plan and continue our journey to Mount Rushmore. We arrived at Mount Rushmore a mere thirty-minutes after leaving Custer. It was mid-morning, and the crowds were already starting to form. After parking in the garage, which you will need to bring $10 for the parking fee, we made our way out to the Grand View Terrace. Avoiding the crowds, we ducted down the tree-lined path of the Presidential Trail, which we found to be delightful as the sun began to bake the ground. Although the Presidential Trail offered great views of the Mount, it was starting to get hot, so we made our way back up to the Visitor Center Museum. I have worked on construction projects for a number of years now, and am always delighted when I get the opportunity to learn about how major construction efforts like this were made possible. The time was approaching noon when we departed Mount Rushmore, making our way back down US Route 16/385 past Custer to the Visitor Center at Wind Cave National Park. Krista and I love going on cave tours when we travel, so not surprisingly Wind Cave had been on our bucket list for several years. We arrived at the Wind Cave Visitor Center as the Park Rangers were gathering everyone up for the 1:00 Fairgrounds Cave Tour. We quickly purchased our tour tickets, rushed down the path to join the tour group at the elevator, and descended into the cave. Before we knew it the elevator dinged, signaling our 19-story descent to the elevator/cave airlock was over. We stepped into the dimly-lit room, joining the tour group, as the Park Ranger escorted everyone through the airlock door and into the cave network. 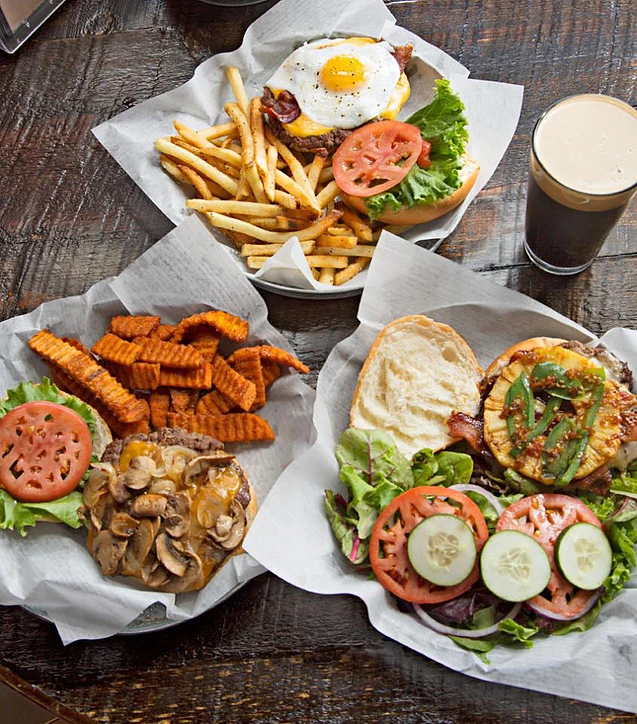 Don't Those Burgers Look Amazing! 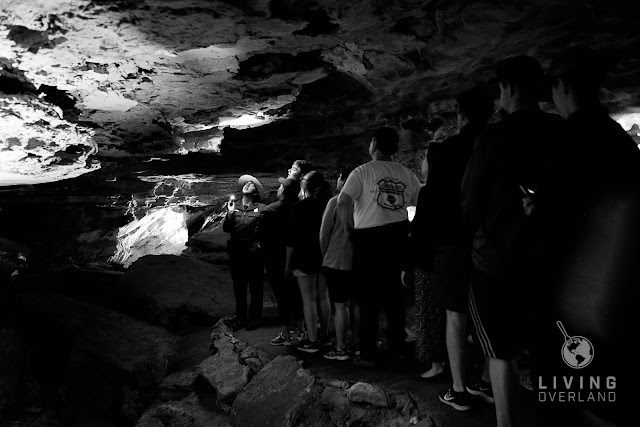 We had spoken with several friends who had visited the park and all suggested that, if time allowed, to join one of the Fairgrounds Cave Tours. I am glad we listened to everyone's suggestions. The most "strenuous" of the cave tours, the 1½ hour tour wound through over a half-mile of caves, up/down 450 stairs. 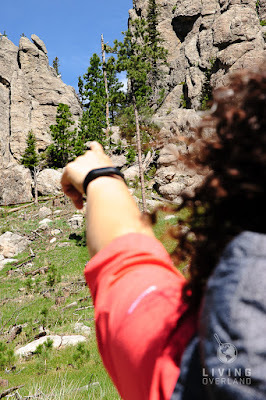 Not only did the Ranger do a great job explaining the cave's geology, but she explained the importance of cave network to the local indigenous tribes who called the Black Hills home. We arrived back in Custer around 5pm, promptly stopping by Black Hills Burger and Bun to put our names down on the waitlist. Recognized as America's Best Burger Joint in 2016, it wasn't surprising to find the waitlist to be over an hour. After a day of driving, hiking, and sitting, it was nice to leisurely stroll around Custer as we waited for our phone to buzz, notifying us that our table was ready. Dinner was amazing and well worth the wait. Although the 100% USDA Choice chuck burger was amazing, the combination of ingredients and house-made bun made The Fat Smitty and Fries absolutely delightful. Just thinking about this burger makes me want to make the trip back to Custer! We find ourselves back at the same coffee shop as the day before, this time a little earlier. Although our day will mostly be driving, with a little hiking sprinkled in, we wanted to get to the coffee shop early to avoid the morning rush. Today's adventure won't be your typical drive through the mountains as we plan to pit the C-HR against the Needles Highway and Iron Mountain Road. A few years prior, while reviewing maps ahead of my 2017 Toyota 86 test drive, I came across both of these routes. Although I ultimately took the 86 on a road trip to Las Vegas, the thought of driving the Needles Highway and Iron Mountain Road stuck with me. Today we were going to see if these roads lived up to the hype I had envisioned. We grabbed our coffee to go, swung past the gas station to fill up the C-HR, and made our way back up US Highway 16/385. 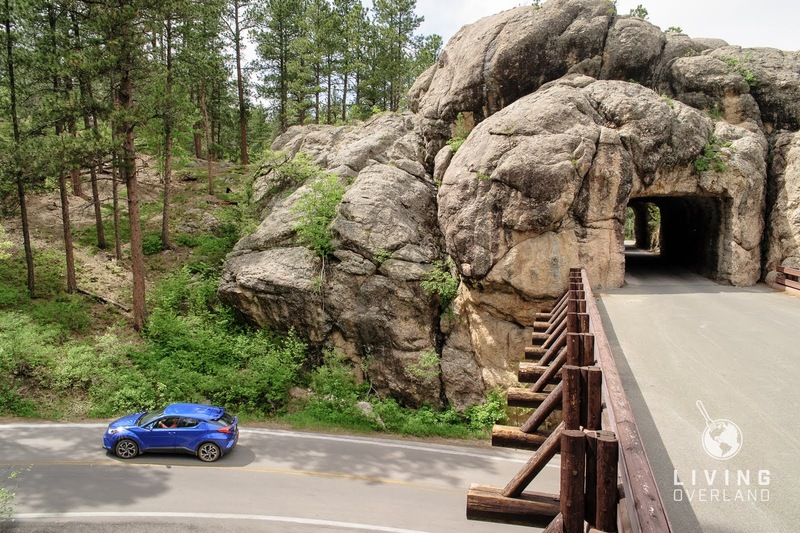 The turnoff for the Needles Highway (SD 87) comes right before SD 244, the highway to Mount Rushmore. Unlike the day before, the Needles Highway was full of fun switchbacks and pullouts to enjoy views of a vast landscape of granite spires. Look, Beau, a Mountain Goat! 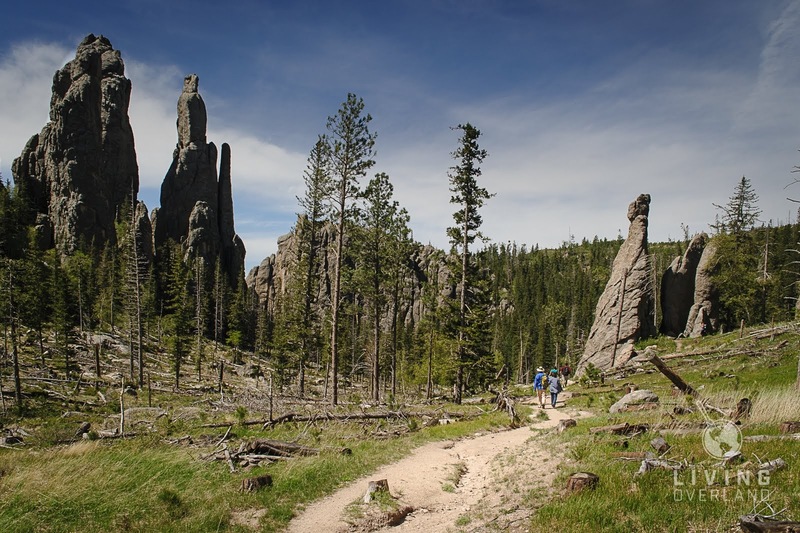 In all of the gawking at the magnificent views, we almost missed the Cathedral Spires trailhead parking lot. Thankfully Krista realized where we were, and we pulled into one of the last parking spots available. The three-mile round-trip hike to Cathedral proved to be strenuous at times, thanks to the warm weather, but well worth the effort. The sun beat down on us as we entered the Cathedral. We stopped to catch our breath and were immediately struck by the grandeur of this place. We were standing in the middle of a narrow basin, flanked on either side by monumental granite spires. We felt small, as we gazed up at the spire peaks, watching a group of climbers attempt a line along up the south wall. Had it not been for their brightly colored clothing, we would not have seen them; they appeared more like ants climbing a tree trunk than human. Then a flash of white crossed our peripheral vision, a female mountain goat and her kid were traversing one of the spire slopes in a fashion that would make Alex Honnold jealous. We sat and watched the goats traverse the granite ledges for a few moments, pointing them out to the other hikers on the trail before we made our way down to the C-HR, which had a date with Iron Mountain Road, and its famed Pigtail Bridges. A plaque along the route tells a story about how in 1931, Cecil Clyde Gideon and South Dakota Senator Norbeck spent tireless hours laying out the highway's unique route so that tunnels would frame Mount Rushmore. The result is a magical combination of single-lane tunnels, sweeping corners, and spiraling bridges - everything you need to put a smile on your face. 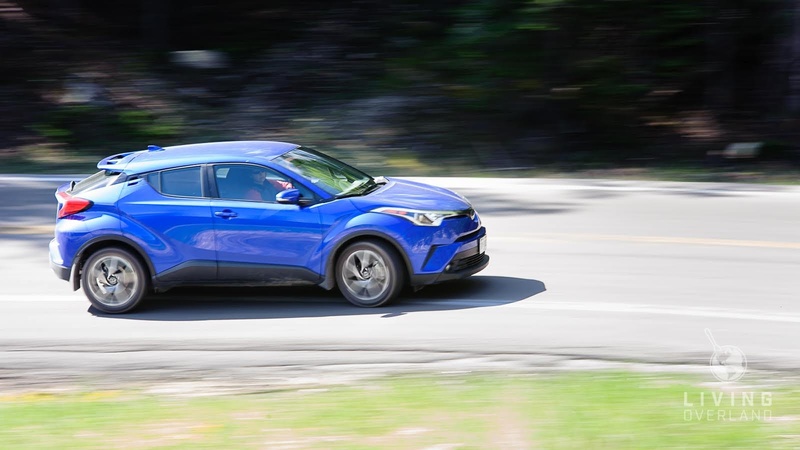 I was pushing the C-HR fairly hard around the corners when Krista looked over and said, "It's a good thing I don't get motion sick!" "Am I driving too fast?" I ask. "No," she replied, "I'm really enjoying the drive." We had so much fun on sections of the route, that we turned around a few times just so we could drive up them a second time. Although I wished the C-HR was offered with AWD and a manual transmission, its continuously variable transmission powered FWD system (mostly) kept up with demand, only searching for the right ratio a few times. I am happy to say both roads exceeded my expectations, providing both an amazing driving experience and plenty of opportunities for sightseeing and hiking. I am sure I had a smile on my face as we drove from the north end of Iron Mountain Road (Keystone) to Deadwood, where we would be spending our last night in the Black Hills. 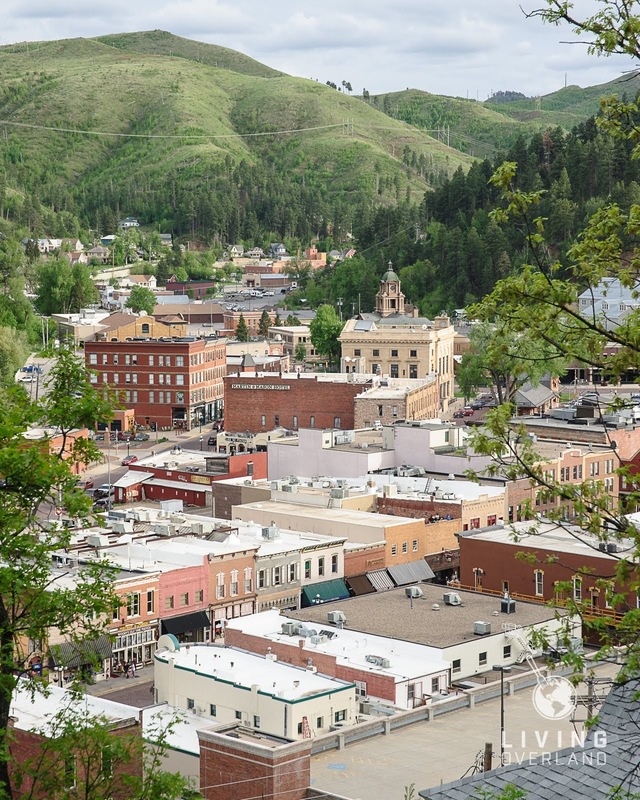 Deadwood's bustling historic hotels and casinos, combined with the lines of motorcycles parked along Main St., were in stark contrast to the laidback feel found in Custer. Despite the heavy tourist traffic, we quickly found our accommodations for the night, a comfortable room at the Celebrity Hotel, dropped off our luggage, and headed out in search of dinner. 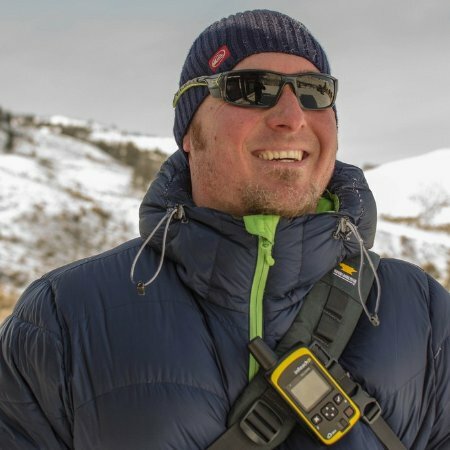 Two action-packed days were starting to take their toll on us, so we forewent the desire gamble after dinner, choosing instead to head back to the hotel for a good night's sleep. Our quick trip to South Dakota's Black Hills had, unfortunately, was coming to an end, and we had a 3½ drive ahead of us in the morning. We need to thank Toyota for allowing us the opportunity to take the C-HR on our trip. 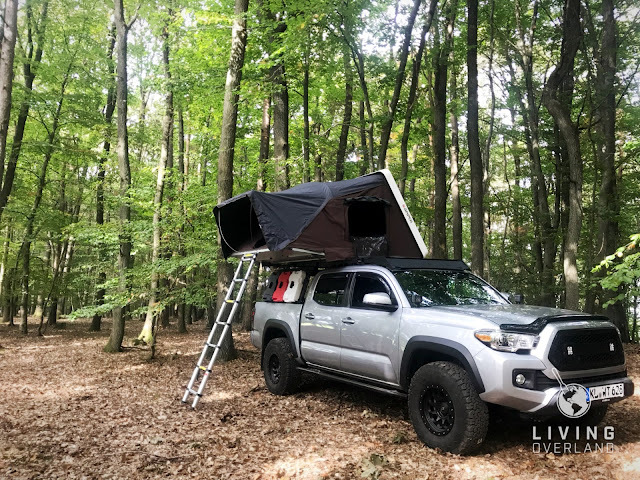 I know this isn't what you'd expect us to drive for one of our trips, but it turned out to be perfect for our two-day adventure!